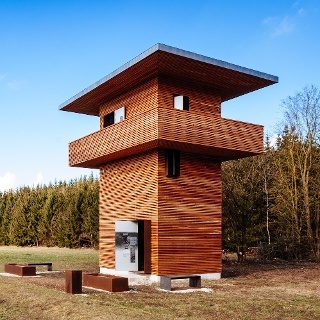 The Kuchlbauer Tower, built to plans drawn up by Friedensreich Hundertwasser and the town of Abensberg’s most famous landmark, and a number of church towers line this hilly circular bicycle tour through the Hallertau, passing through Bad Gögging, Siegenburg and Abensberg. 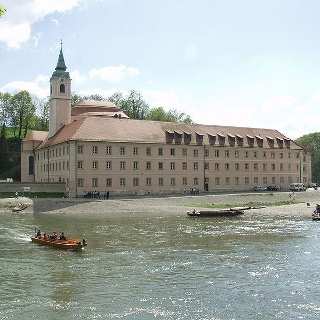 The Towers Tour starts in the spa town of Bad Gögging and takes you first of all towards Neustadt an der Donau. In Neustadt the town’s parish church of St Laurentius and St Anne’s Chapel form an impressive ensemble. At the edge of the town is the start of the cycle path that takes you first to Mühlhausen. On hot summer days the route through the shady expanse of the Dürnbucher Forest is a real boon. After Mühlhausen the tour can be shortened by following the signs for Siegenburg. Otherwise, enjoy the peace of the forest and listen to the sounds of the woodland creatures as you head for the Abens Valley. Shortly after crossing the Abens, follow the tour northwards to Siegenburg. Because of its size, the neo-baroque parish church of St Nikolaus is sometimes called the Cathedral of Hallertau. It stands on a hill above the town. You can make a stop in Siegenburg before continuing along short stretches of the Siegbach and the Abens rivers towards Biburg. 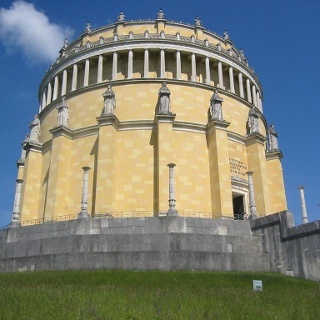 You should schedule a break in Biburg to see the unusual Chapel of the Redeemer by the artist Angerer the Elder and the abbey church of the former Biburg Abbey, whose plain, Romanesque architecture creates a special atmosphere. In the beer garden adjoining the abbey you can enjoy a refreshment and with a bit of luck you may see a stork flying through the Abens Valley. Leaving Biburg behind, the route then continues through Rappersdorf and past Appersdorf’s pilgrimage church to Abensberg. 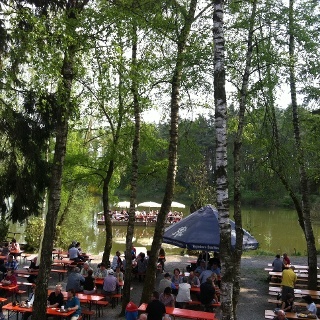 Here you will cross the Gillamoos Meadow, site of the annual Gillamoos Fair, one of Bavaria’s most popular traditional festivals, held on the first weekend of September each year. Passing the Herzogskasten, home to the municipal museum and the Tourist Information Office, and through the historic town centre the route carries on to the Kuchlbauer Brewery and its famous and impressive Kuchlbauer Tower, built to plans by Friedensreich Hundertwasser, which can be visited on a guided tour. Why not make time for the guided tour and a stop-off before leaving the town and heading towards Sandharlanden. The route passes a number of the area’s asparagus fields and strawberry fields before taking you back to the starting point in Bad Gögging. Allow yourself a bit more time to visit the various towers along the route. At the end, cyclists can reward themselves with a visit to the Limes baths at Bad Gögging.